If you’re the owner of a modern business that is spread out across several geographic locations, you’ve probably come across the term SD-WAN on several occasions while looking at the various ways to handle your internal online interactions. What is SD-WAN and why businesses use SD-WAN systems in modern technology? Here’s everything you need to know about utilizing the facility in 2019 and beyond. The term SD-WAN is an acronym that stands for Software-Defined Wide-Area Network. It is a term that relates to SDN(Software-Defined Networking) and is something that is used by thousands of companies across the country and further afield as they look to connect different parts of their business to a wireless network. This is achieved via the application of SDN technologies to WAN connections. Examples of WAN connections include broadband connections, 4G, and LTE. The function is to connect the various business premises to the same, secure network through the internet or a cloud-native private network. The use of the SD-WAN system is, therefore, an upgrade from outdated computer network frameworks of the past as they are detached from traffic management and hardware-based monitoring functions. Instead, it is built upon; Edge Connectivity Abstraction, WAN Virtualization, Centralized Management, and Elastic Traffic Management. A software-defined wide area network can be used in favour of T1, MPLS, and other traditional WAN systems, although over three in four companies still persist with the old facilities in conjunction with their SD-WAN networks. Before incorporating SD-WAN networking solutions into your business operation, it’s imperative that you learn to appreciate the reasons for potentially doing so. Only then can you make a calculated decision as to whether the deployment is right for you. Companies that have persisted with traditional WAN architectures should see this as the perfect time to make a switch as they simply cannot match the performance of the modern SD-WAN upgrades. The advanced networks outperform the old ones in virtually every way covering bandwidth, security, cost, and reliability. For similar reasons, new ventures should only ever consider SD-WAN. Otherwise, the entire business is at a disadvantage from the start. 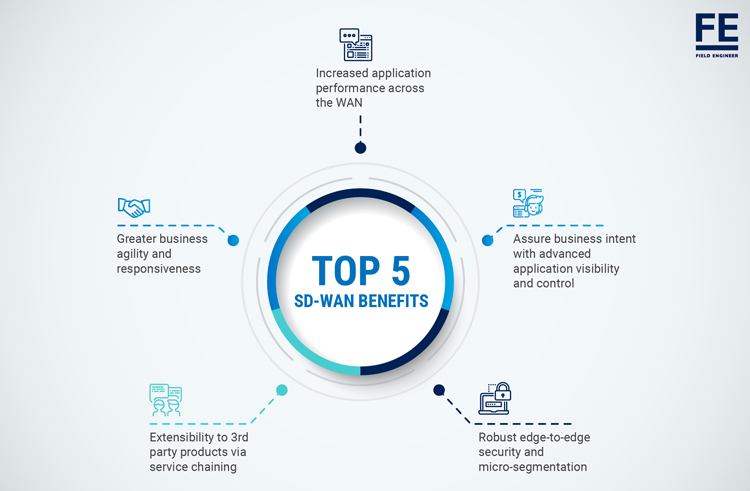 ‍SD-WAN network solutions bring many benefits to the table including optimizing cloud and on-premises application performance with real-time analytics, along with maximum choice and control. If the business isn’t using SD-WAN, it isn’t reaching its full potential. Fact is that the need for perfect internal communication and online facilities is no longer limited to the IT sectors. Virtually all business rely heavily on computer tech while a growing number require perfect communications between different endpoints and geographic locations. As such, SD-WAN isn’t merely a nice addition. It’s an essential feature in for a battle in the fierce world of modern business. Utilizing SD-WAN can transform a company’s approach to online performance, communication, collaboration, and application. SD-WANs are there to support connectivity between different branches and can be used across offices, shops, and other working environments with easy implementation and ongoing management. SD-WAN offers a centralized, cloud-based deliverance that is particularly useful for companies that use applications that reside in the cloud. The scalability opportunities and automated deployment possibilities can be used across thousands of endpoints in a seamless fashion. Aside from improving the deployment process, this creates a better framework for ongoing analysis. Security is another priority for modern businesses to consider. 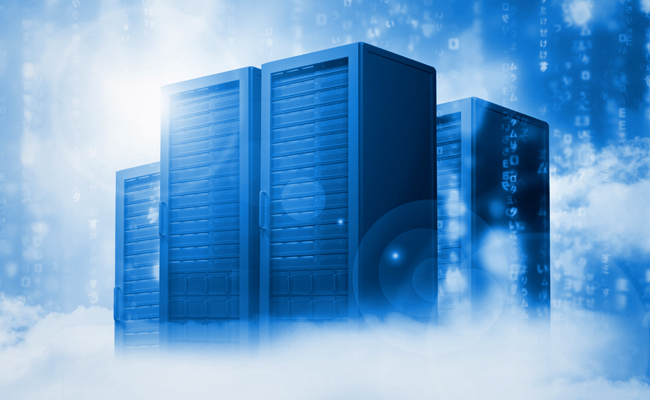 The implementation of SD-WANs removes the need for data to keep traveling back to the data centers as the security features are present at each endpoint. The data encryption and advanced threat intelligence systems ensure that users, devices, and applications remain safe at all times. The user experience across the network is greatly improved for several reasons. The deployment of SD-WAN systems that actively divert users when traffic-related issues surface can save a lot of valuable time and prevent huge levels of stress. This dynamic approach overcomes link degradation among a variety of other problems. Crucially, the collaboration opportunities which allow for modifications to be automatically synced across the board create a far better operation. As with any key business decision, one of the main issues revolves around the value for money. SD-WAN solutions offer a cost-effective upgrade for many reasons. The function and scalability are naturally key features, but licensing should not be overlooked either. Meanwhile, it offers the opportunity to lose expensive MPLS connections in favour of VPNs and other economic broadband services. SD-WANs can incorporate the popular Office 365, Salesforce, and major SaaS applications in addition to optimized workflows such as AWS and Azure. The smooth operational flow is supported by responsive performance reporting, allowing for any adjustments to be made without any problems. There are many companies who manufacture SD-WAN products, and every product has a different installation guide. As such, it can all get a little confusing and overwhelming. This is why you should seek external support. 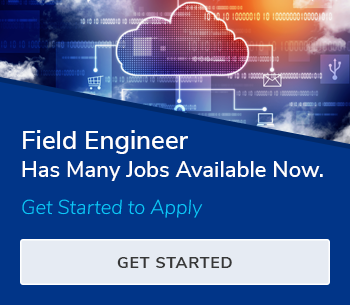 The best solution to deploy SD-WAN is to hire an SD-WAN Engineers from FieldEngineer.com which is a Hub of SD-WAN Engineers of all manufacturers. Switching to SD-WAN networking can completely revolutionize business by upgrading security, productivity, and collaboration opportunities while simultaneously reducing the costs. However, anyone looking to deploy SD-WAN systems in their business must accept that the choice of vendor is vital. SD-WAN architecture is offered by a host of different vendors, but not all are worthwhile investments. After all, any SD-WAN system needs to be secure and reliable at all times while additionally offering value for money. Here are seven of the best solutions on the market. What is Cisco Meraki SD-WAN? The Cisco Meraki MX SD-WAN system is one that’s designed with simplicity in mind. It supports broadband + MPLS, broadband + 3G/4G, and dual broadband circuits while the adoption of automatic VPN IPSEC technology provides users with the opportunity to determine the interaction capabilities of each site. Meraki MX is managed via cloud-based controllers and while it automatically moves users to new channels if they encounter latency or loss due to traffic. This in itself promotes a far better level of performance than outdated ideas. What is Cisco Viptela’s SD-WAN? Viptela is a central policy controlling SD-WAN system that was acquired by Cisco in 2017 for a huge $610 million. Great scalability is seen to be one of the system’s very best selling points, which is underlined by The Gap’s usage across over 1,000 location. The networking possibilities are supported by easy integration with existing computer platforms. The Viptela platform is one of three offerings by Cisco – the third is IWAN – and is particularly suited to the larger scale operations. Application-based policy enforcement is just one of several features that make it a great option in those circumstances. VeloCloud optimizes the UX through an SD-WAN network that focuses on the use of cloud applications, delivered through the VeloCloud platform. LAN-to-cloud traffic will be directed to the best internet path, which includes automatically diverting them if any issues occur. The managed service can also be adapted to the needs of the brand. The appliances of the VeloCloud system can be located globally, making this SD-WAN operator one of the most popular for multinational companies as well as the increasing number that use remote workers from around the world. Nuage’s network services haven’t always been best recognized for the SD-WAN solutions. However, the SDN uses network virtualization and automation to great effect, removing the physical network for a secure service that provides the functionality that modern businesses need for long-term success. The Nuage SD-WAN should be associated with quality, reliability, and the value for money that is linked to the computing developer as a whole. It is an especially useful solution for small-to-mid-sized ventures. SilverPeak has been a central player in the more traditional WAN environment for many years, but the release of its Unity and Unity Edge SD-WAN packages has moved it up to the top table in this arena too. Its application identification systems are particularly useful as they provide easy integration and collaboration while protecting users across multiple locations too. Scalability options is another great aspect of the SilverPeak solution. Aside from the standard Unity and the Unity Edge, there is a third SD-WAN system called Unity Boost. Switching from one to the other as the company grows is very easy. Versa, a company formed by former Juniper experts, introduced its SD-WAN products in 2015 and marked itself as one of the best on the market. It boasts a focus on service injection while the use of a scalable model via the use of BGP is ideal for businesses of all sizes, including those at the start of their journeys.Bringing multiple locations together over a network that incorporates 4G as well as broadband and other solutions becomes very easy while the rich carrier features and managed servicing are of note too. Riverbed is one of the eldest statesmen of the WAN arena. While it arguably delayed its introduction of the SD-WAN capabilities a little longer than it should have, there’s no doubt that it the traffic analysis and other strengths make it a prime candidate for many businesses – not least those already using their Steelhead products. The Riverbed SD-WAN platform is an ideal solution when the company utilizes cloud-based software and applications. Extending the functionality across multiple locations is a particularly simple task while the scalability possibilities are strong too. When deploying SD-WAN technologies, it’s not all about choosing the right platform. Ensuring that the right SD-WAN technician is working on the project is equally crucial as you look to unlock the full potential of the networking systems. Failure to do this would be like buying a Formula One car and then asking your nan to drive it. ‍FieldEngineer offers businesses the perfect solution for finding SD-WAN technicians. The global on-demand marketplace connects the companies to a plethora of certified technicians that have gone through the necessary background checks. This helps in completing the project in the right fashion while the level of competition puts businesses in the best position to gain value for money in the process. With SD-WAN and a Field Engineer technician by your side, the future of the business looks brighter than ever.